In today’s Scripture reading we learn that the religious leaders were greatly annoyed because the disciples were teaching the people and proclaiming in Jesus the resurrection from the dead. It has been this way since Pentecost, and people today are still annoyed when we publicly talk about Jesus. As seen by the masses, Jesus is perceived many, different ways. You can speak of him as prophet, holy man, teacher, or spiritual leader, and few will object. But speak of Jesus as the only begotten Son of God and the only way of salvation, and people quickly voice their disapproval. In spite of the religious leaders’ objections the disciples proclaimed Jesus as the Messiah, and the number of believers grew to five thousand. Today, we cannot keep from proclaiming Christ publicly just because some will get annoyed. If we do, there will be those who might not come to believe in Jesus, because of our silence. 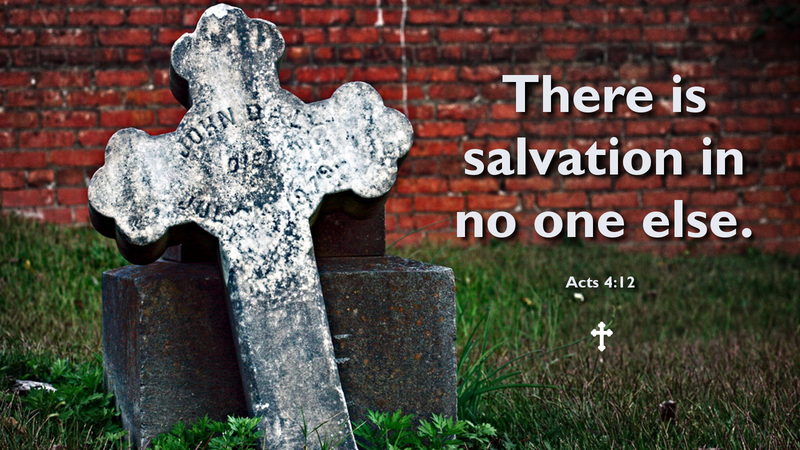 We must be bold to proclaim Christ as the only way of salvation. Prayer: Dear Lord Jesus, give us a bold faith to proclaim you publicly for the salvation of the world. Amen.